Artur Golczewski from the Vienna University of Technology mounting the high precision scale. Photo courtesy of the Vienna University of Technology. 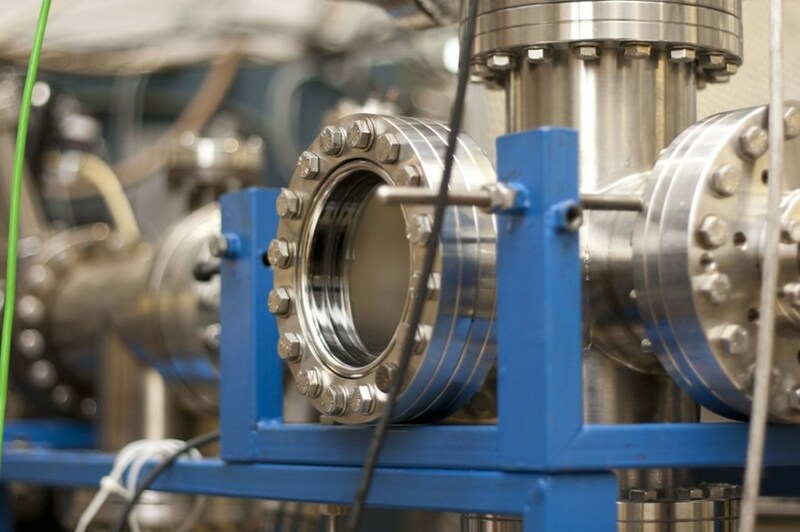 One of the world's most accurate scales is currently being used for fusion research at the Institute of Applied Physics at the Vienna University of Technology (VUT). A research group led by Professor Aumayr reproduces the physical conditions on the fusion reactor's walls in its experiments. In the laboratory, the interaction between high-energy ions and solid surfaces can be studied much more precisely than it ever could inside an actual fusion reactor. A key tool for this research is the quartz crystal microbalance, which was developed by Professor Michael Schmid from VUT. A small piece of the surface material, which is supposed to be used in the fusion reactor, is irradiated with high-energy particle beams, and tiny changes of its weight are measured with great accuracy. This way, one can determine whether the particle bombardment knocks atoms out of the surface, reducing the mass of the specimen, or whether the incident particles are instead implanted into the material, thereby increasing its mass. The vacuum chamber in which the high-precision measurements with the quartz crystal scale are being performed. Photo courtesy of the Vienna University of Technology. 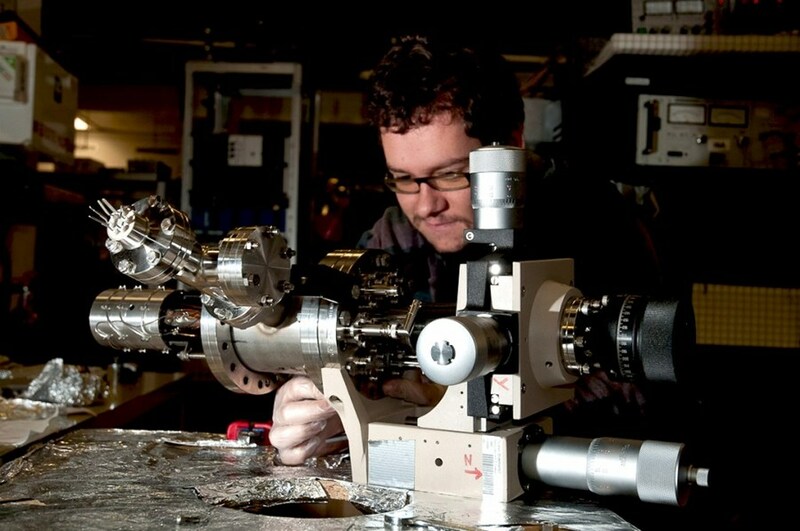 The microscale developed at VUT is one of the world's most accurate scales. "Mass changes of as little as one billionth of a gram can be measured," says Katharina Dobes, research assistant at the Institute of Applied Physics. Even if the particle bombardment only removes one single atomic layer from the surface, the resulting change in mass can still be evaluated. The fundamental idea behind this incredible precision is rather simple: a quartz crystal is vibrated and its resonance frequency is measured. This frequency depends very sensitively on the crystal's mass. If the crystal surface is coated with the material under investigation and then hit by particles, the changing resonance frequency of the crystal can be translated in a mass change of the material on top of it. That way it is possible to determine the effect the particle bombardment has on the surface. 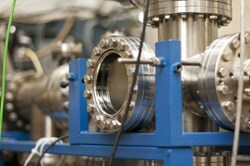 The application of this measuring device is not restricted to fusion research. "In particle-surface interactions, there are many quantum mechanical phenomena which play a crucial role. In this field, many interesting fundamental questions are yet to be answered," Professor Aumayr believes.